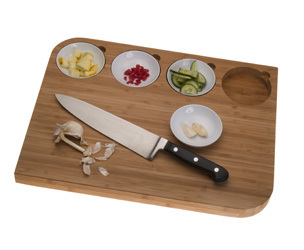 Ute Australian Design strives to bring you practical and beautiful Design that worksTM. 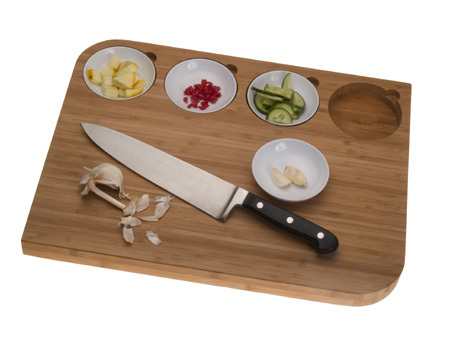 The clever Bowlboard was designed specifically for food preparation, and has four food prep bowls inlaid flush to the surface of the board. 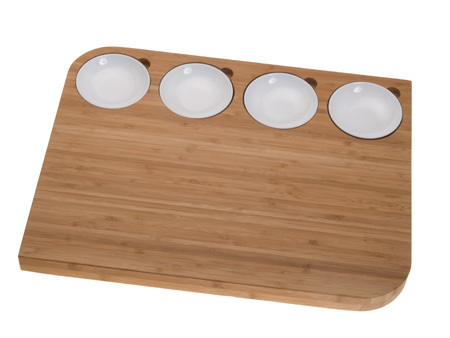 Bowlboard makes food preparation enjoyable and also doubles a terrific serving piece for appetizers and dips.